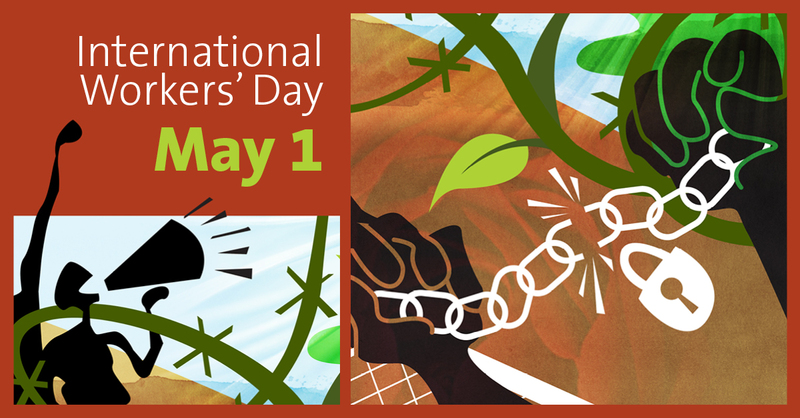 On May 4th, 1886, one hundred and thirty-two years ago, the event took place in Haymarket Square in Chicago that started what is called the Haymarket affair and ultimately lead to the creation of International Workers Day. The event itself was a rally, or what at the time was called a meeting or open air meeting, that was in support of the eight-hour day. This struggle had been going on for years and was reaching a fevered pitch with a general strike which had been called for May 1st, in which hundreds of thousands of workers across the United States when out on strike. After the events of May 4th, where towards the end of the rally a bomb exploded causing the police to fire into the crowd. Several people on both sides were killed. In the coming days seven people, all avowed anarchists, were arrested. Some of them were not even at the rally at all and most of them were not there when the bomb exploded. However, after the trial two were given life in prison, one had committed suicide while in jail, and four of them were executed. The trail and execution shocked the world. For two years leading up to May 4th, 1886, workers had been struggling for the eight-hour day. In October of 1884 the Federation of Organized Trades and Labor Unions had set May 1st, 1886, as the date by which the eight-hour work day would become standard. 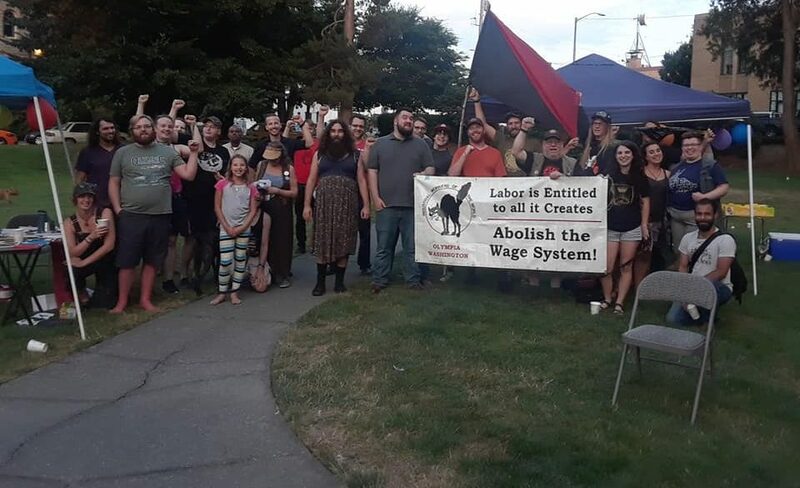 All of labor, as well as the socialists and anarchists, had come to support and be involved in the struggle for the eight-hour day. To be clear, the call for the eight-hour day was also a call for no wage cuts. Today we tend to think of a reduction in hours as a reduction of pay. However, this is not the case, and at the time was implied if not directly stated. So again, the call was for a standardized eight-hour day with no wage cuts. Which would not only mean less work for over worked people but a wage increase. As further background, anarchists and other radicals, through their own press, as well as actions, had been organizing in the city for years. The capitalist press made much of their propaganda and had most of the city scared. Of course the capitalists themselves, organized in different clubs and organizations, used this fear and the police to suppress the radicals. In the context of the struggle for the eight-hour day, there was a lockout at the McCormick Harvesting Machine Company plant in Chicago. During a picket on May 3rd, 1886, outside of the factory gates there was a fight between the strikers and the police who were helping to break the strike by guarding scabs while they were crossing the line coming out of the gates at the end of the day. Two to six strikers were killed by the police. This was the cause of the rally the next day on May 4th. Flyers were printed to turn workers out to the meeting on May 4th. The meeting was to be centered around the killing of the workers in front of the McCormick plant and to speak about the eight-hour day movement. By all accounts the meeting was peaceful. So much so that the mayor of the city was there and even left early because he felt sure that nothing was going to happen. The city and the police were of course thinking that there would be a riot. The police were on hand from the beginning of the meeting. There were three speakers, August Spies, Albert Parsons, and Samuel Fielden. Who spoke in that order. As Fielden was wrapping up his speech, which only last around ten minutes, more police showed up and all of them in formation marched up to the wagon that the speakers where using. They ordered the crowed to disperse. It was at this point that a bomb was thrown into the front ranks of the police. Killing one right then and fatally wounding six others. There are conflicting accounts as to what happen next. Either the crowd and police exchanged gun fire, we don’t know who fired first, or the police fired into the crowd as they were fleeing. Either way all of this only last for less than ten minutes. It is also possible that in the chaos the police were firing at each other by mistake. We do not know how many workers died, at least four. There were many injuries, over hundred. There was a massive red scare following these events. For weeks afterwards homes and offices were raided without warrants. The community largely sided with the police, with no small help from the capitalist press. News of the events was international. Seven people were later arrested, only four of them had been at the meeting, and only two of those had been there when the bomb exploded. The trial was a pig service. The Judge Joseph Gary, was openly hostile towards anarchists and made no attempt to hide it. All but one of the defendants were sentenced to death. The other to 15 years. After many appeals, the Governor commuted two of the sentences to life in prison. Louis Lingg committed suicide in his cell by eating a blasting cap. It blew off half his face and he survived in agony for several hours. On Nov. 11th, 1887, Engel, Fischer, Parsons, and Spies were taken to the gallows in white robes and hoods. They sang the Marseillaise. Family members including Lucy Parsons were arrested and searched for bombs. It was at this point that Spies said his now famous line. Witnesses reported that the condemned men did not die immediately, but strangled to death, a sight which left the spectators visibly shaken. The legacy of the Haymarket Affair is buried in the everyday lives of workers. The most obvious being the eight-hour day. This is something that a lot of people take for granted, even with it being eroded in the U.S. In Europe there is even a shorter working day, while also, that is being pushed back by the capitalists. We should remember all this on International Workers Day and Labor Day, too. Not long after the Haymarket Affair, May 1st, the day of the general strike for the eight-hour day, was celebrated around the world as the working people’s holiday and in memory of the Haymarket Martyrs. In the U.S. where all of this started the government was too afraid of the labor movement to let the holiday stand, but they knew they had to do something. So with the help of the conservative unions (AFL) they created Labor Day on the first weekend of September. The U.S. government did more than this. May 1st in the U.S. is BOTH Law Day and Loyalty Day! Loyalty Day was created during the first red scare and Law Day was added in the early 1960s. But there are other aspects to the legacy of the Haymarket affair. That when workers the world over stand together they can change the world. That the state will always use its power to oppress the working class. We might think that we are so far removed from the days of the late 1800s. However, in a lot of ways we are not. The government has proved itself to not be a friend to the working class, no matter what they say about bringing back jobs. We have to stand and fight together! It is only in organization and direct action that better conditions and a better world will come! ← Solidarity with the Rojavan Struggle!